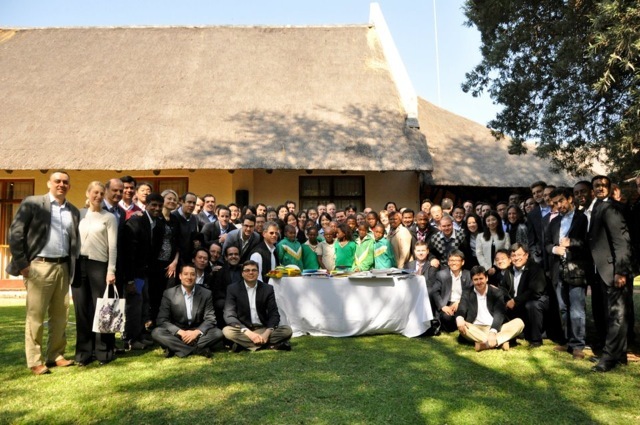 On May 20, 2012, 100 mid-career executives from 27 countries around the world — the 2012 class of MIT’s Sloan School of Management Sloan Fellows in Innovation and Global Leadership — arrived at the Kwa Maritane Bush Lodge in Pilanesberg, South Africa. This was the beginning of the capstone trip of our time at MIT: we had spent an intense year together studying finance, accounting, operations and more to earn our MBA’s, learning about each other’s cultures, professions and families, and thinking about how we could best fulfill the Sloan School’s mission to improve the world. We knew that during our trip, we would meet great South African leaders from business and government but we would ourselves do very little. 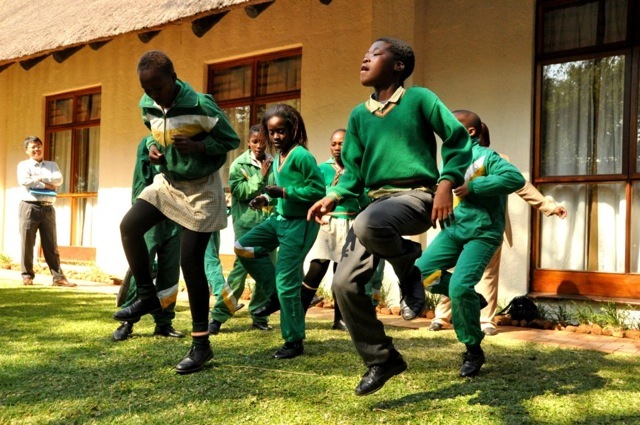 A link on Kwa Maritane’s website to Pack for a Purpose led us to an alternative — we could visit and perhaps improve the world just a bit. We posted a spreadsheet with a list of material that the Borite Primary School needed and sent a few reminder emails out to the group: i.e. Don’t tell me you have no time to shop before we leave; they sell school supplies in the airport! Kwa Maritane put out a box to collect the supplies we had brought and soon it was overflowing with over 150 pounds of pens, crayons, soccer balls, pads, books and more. We then had the incredible good fortune that the local coordinator was able to arrange for a delegation from Borite to come to Kwa Maritane to receive the supplies. The pictures are of the kids from the school singing and dancing as a thank you and of some MIT students and Borite posing together. 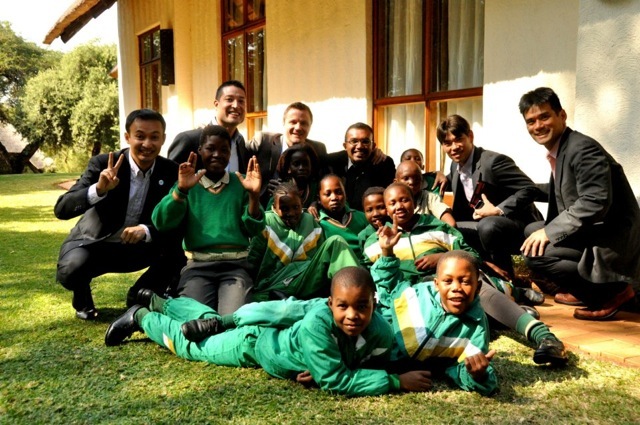 Our donations did not change the world, but for these kids, they clearly made a difference. And for many of us, the pure joy of these kids was the highlight of our trip. The Sloan Fellows brought so many of the needed supplies that the school actually resubmitted a changed needs list after receiving the supplies as some of their current needs had been filled by the generosity of the Sloan Fellows- a Big Impact by any standards!